Saidi Karisa is a young man, who turned 18 years old in October this year and was reintegrated back to his family on 4th November 2016. The CCI rules are very strict whenever a child turns to an adult it’s mandatory that they should no longer live in homes but instead be reintegrated back to their families & where they need to be supported can be done to their respective homes. 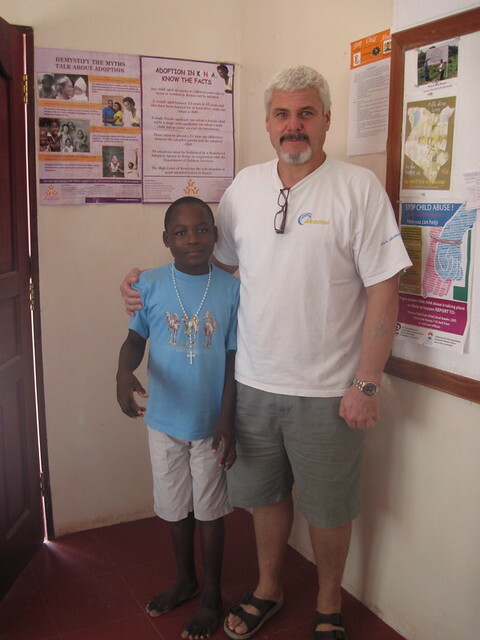 Saidi has been under the care of GLO for the past six years after he joined the orphanage on 17th December, 2010. He was one of the children with special needs since he is epileptic and has learning difficulties. During the time of his admission, it was reported that his mother experienced alcohol problems and neglected him. She sometimes abused him physically because they associated his epileptic condition with evil spirits. Sadly Saidi had never been brought to hospital and as a result was not receiving any medication to regulate his condition. He used to experience more than two episodes of epileptic seizures daily. During Saidi’s time at The GLO his health was restored through proper medical care and he barely experienced epileptic seizures, unless when he had some other kind of sickness. He was also able to attend routine clinics for people with epilepsy and was placed on daily medications which have really helped to improve his health condition. He also joined school although the epilepsy meant his attention span was very short and his memory is very poor. 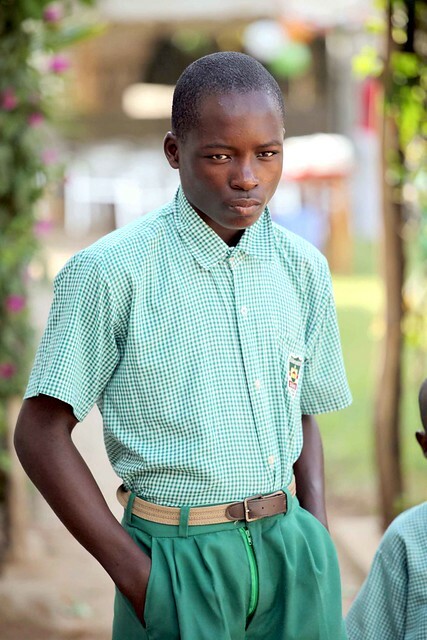 He first joined a special school within Mtwapa to learn the basics and was later transferred to our school, St Bernadette Mary School where he furthered his basic education. Despite his special needs Saidi was a very hardworking young man who was always willing to help whenever required. He transformed into a very strong young man under the care of GLO and following his admission to McKenna’s Boys Wing of our Transition House he quickly learnt to take care of himself under the watchful eye of Katana our Head Askari. We were all very sad to say goodbye to Saidi last month but we also realise that being part of his own family is a very positive milestone in his life. As a young man he now has to leave the security of The GLO and say goodbye to his GLO Family although he knows he is always welcome to visit. It is also difficult for Papa Kevin to see him leave as he rescued him after witnessing him suffer an epileptic seizure at the nearby Feeding Station six years ago and has been very much a father figure to him during his time at The GLO. I paid a visit to his home on 6th December after a month and I saw he has bonded very well with all his family members. Thankfully his mother who is the only parent living to care for him has completely transformed, she no longer drinks alcohol and is very supportive of her son. 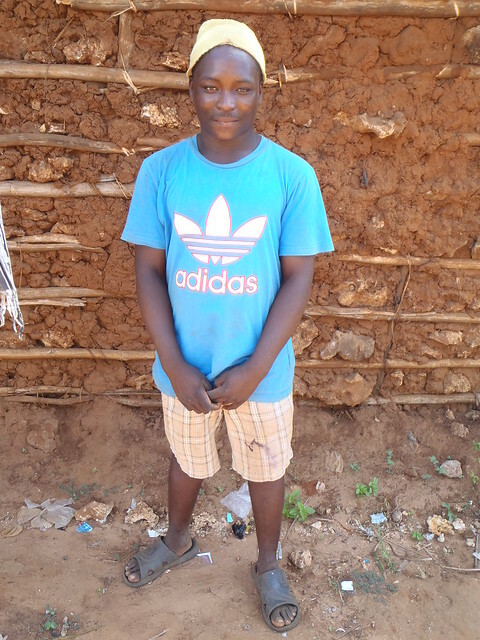 Saidi is currently becoming more independent man and is able to do some small business of preparing brooms for sale. He is one among many children who have benefited from GLO and it’s through appropriate support that all this has been achieved. 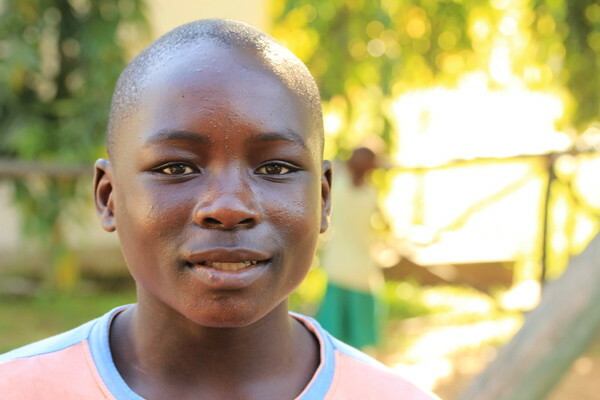 We say a big thank to everyone who helped Saidi to be the young man he is today. 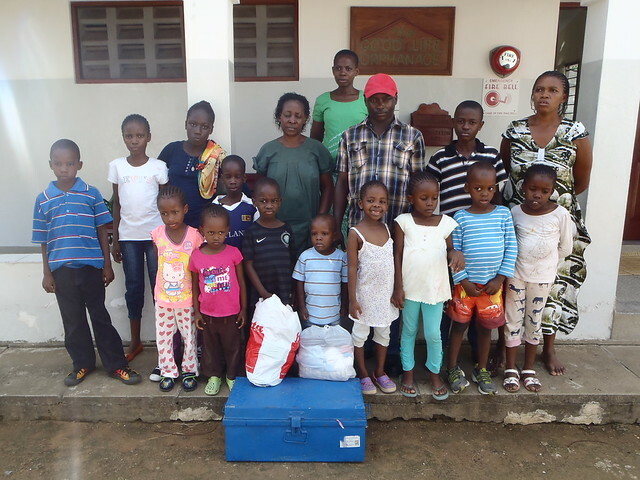 Thanks to the generosity of Saidi’s sponsors we shall continue to support him with both his medical care and basic needs until we are sure that he has adjusted into life outside The Good Life Orphanage. Well, another fantastic report from GLO. Sounds like Saidi is going to go from strength to strength as he makes his way in the world. It is good to know he can also keep in contact with the GLO as we’re e he’ll miss his family there too, especially Papa Kevin. Well done to everyone and we wish Saidi happiness and success in his future life. Bless him, we all love Saidi and how well he has done, and I still think he photographs like a model!! This shows what a wonderful job you are doing with all of these children. May the Lord go with him in the future to help him succeed. I can remember going to Saidi’s village with Papa Kevin and Mama Mary before he was brought to the GLO. Saidi was a very sad and unwell boy but look at the difference now! 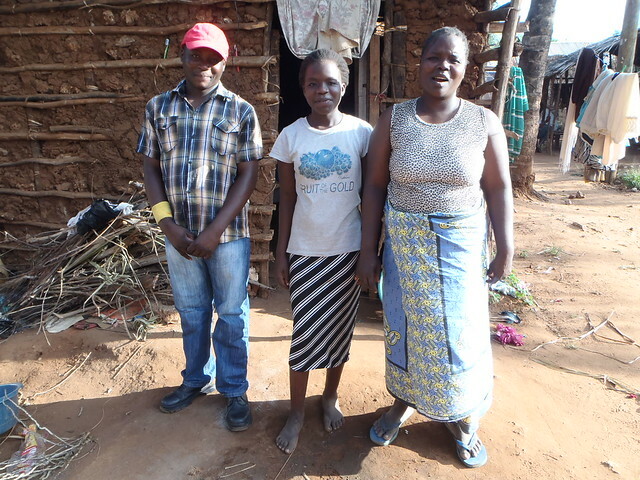 I’m sure everyone at a GLO was sad to see him leave but he is now much better equipped to live an independent life along with his family because of the love and support he has received at GLO.